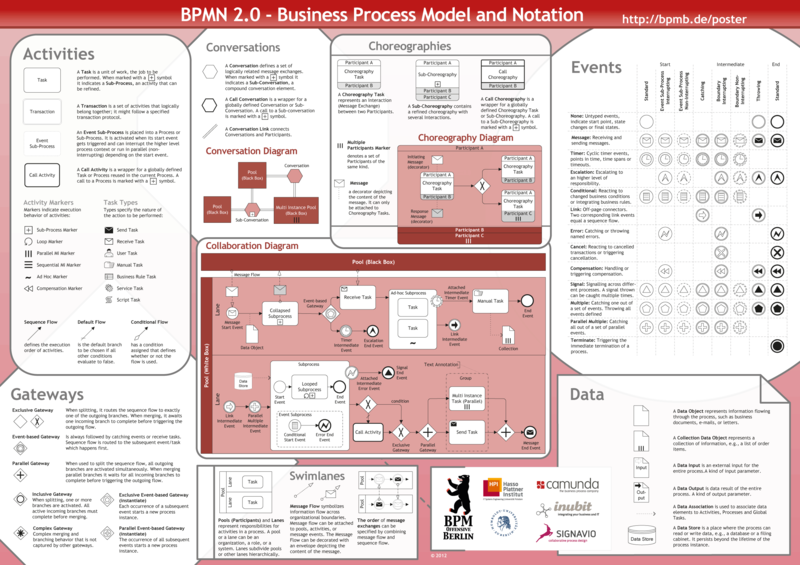 Signavio’s BPMN 2.0 poster provides optimal support for daily tasks in process management. The poster encompasses all BPMN 2.0 core elements and also provides an overview of the various graphical elements and their meaning. With short examples of application, the correct use of BPMN 2.0 can be seen at a glance.